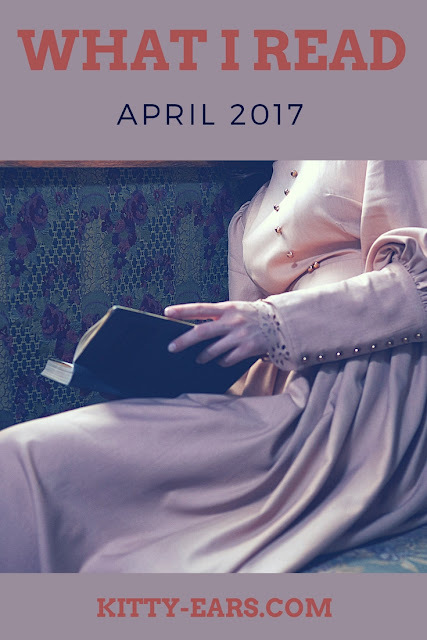 I read a measly 10 books in April! I've been reading up a storm this year so I really slowed down this month. Like really. I didn't like most of the books I read this month. It was a pretty disappointing month, to tell the truth. I thought Deadly Flowers by Sarah Thompson would be really good. I was planning on giving it a five star review until half way through it just went downhill fast. Suddenly there was a lot of mysticism and all the bad guys turned out to have something lame in common (no spoilers), and the main male character just up and left the narration 75% of the way through for absolutely no reason. And I still don't get the demon-that-looks-like-the-love-interest part. The Twin's Daughter by Lauren Logsted was just creepy. Really creepy. Too creepy for me. The twist at the end, where what you think is a loving character turns out not to be loving at all...through me for the biggest loop. Dislike. The worst book I read was The Falconer's Knot: A Story of Friars, Flirtation and Foul Play by Mary Hoffman. It was truly awful, full of stock characters with no emotional depth and every trope known to mankind. And it wasn't written well either. I couldn't finish it. I also read Behind the Attic Wall by Sylvia Cassedy. Is she crazy or is she crazy? And isn't it sad? It was too sad. I don't recommend. Also, I remember reading this as a kid because of the backwoods girls...but I don't think I finished it. At least, it wasn't memorable enough if I did. The only book I really read that I liked was Hannah by Kathryn Lasky. And it's not even a particularity good book. I just happen to really like that genre no matter how many tropes there are. 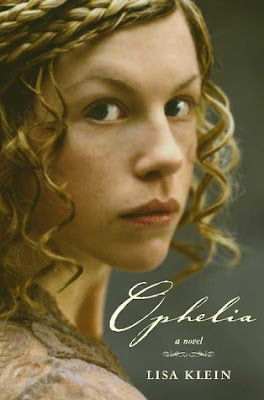 I read Ophelia by Lisa Klein and liked it okay. Ophelia is interesting and lovable and intriguing, and I liked seeing the world though her eyes. I want to read more by Klein, but it wasn't love if you know what I mean. It was enjoyable, for sure, and entertaining, but not...memorable. I enjoyed my one read through and won't be picking it up again. Another honorable mention is Winnie-the-Pooh. I adored it, but it's a kid book. And that about sums it up. Maybe if I'd ever read it as a kid it would be more memorable to me. I did give it five stars, but I'm not bubbling over with excitement about it. I do want to read it to Reuben. I'm just not into idealistic chapter books anymore. That ship sailed when I turned eight. What did you read this month? To see these and other books I read, check out my goodreads here. Also, I am always open to book suggestions!